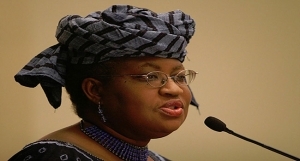 The Federal High Court sitting in Lagos has ordered former Minister of Finance, Dr. Ngozi Okonjo-Iweala and the Federal Government to provide information on the spending of the alleged missing N30 trillion. The fund according to the court represents some accruable income to the Federal Government during the last four years of the Administration of former President Goodluck Jonathan. The judgment was delivered last week by Justice Ibrahim Buba following a Freedom of Information suit brought by a Non Governmental Organisation (NGO), Socio-Economic Rights and Accountability Project (SERAP).